It’s been five years since I was last in Fukuoka, and when I returned this year, it was to a very different city, or was it? As I walked from Tenjin to Hakata Station at 2:00 a.m., and sobering up from a night of drinking with old and new friends, I wondered if the city really changed, or if I had. 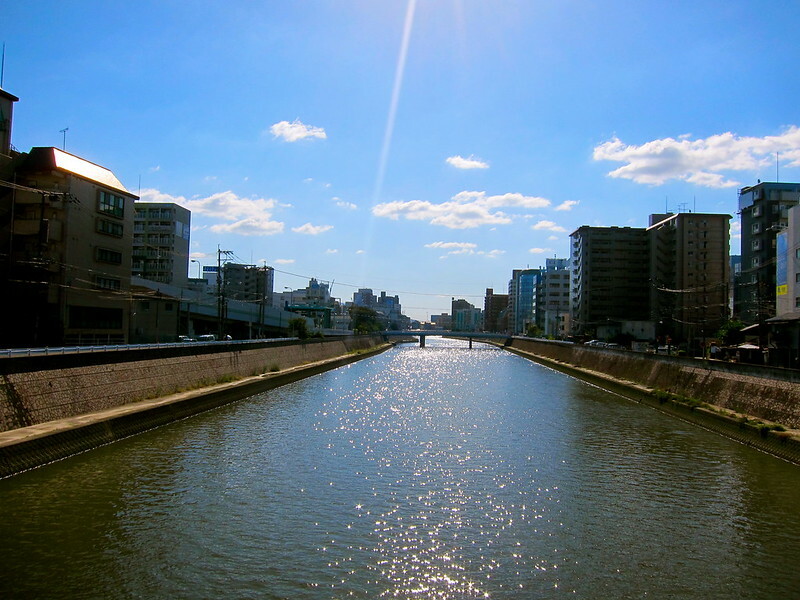 Five years ago, Fukuoka was the least memorable excursion of a two-month long trip through Japan. I was on a tourist visa, and armed with a JR Rail Pass, which allowed me to ride the bullet trains all over the country. I stopped in Fukuoka for three days. It was just after a most memorable time in my favorite city, Hiroshima, but just before I was meeting some friends in rural Shikoku. I was alone in Fukuoka. I wondered the streets and ate yatai and tried to find a piece of myself in this city but it didn’t work. It felt line a non-character in an characterless city. But one night, I met a man on the street who would become one of my very best friend for life. The kind of friend who would fly from Australia to be “man of honor” at my wedding this summer. The kind of friend you meet on the street when you are two foreigners in a city with one hostel (um, there is now more than one hostel in Fukuoka). He was a tourist from Australia, midway through a months-long trip like myself. He asked for directions, I asked him out for a drink. On that fateful night, we also met two Japanese girls at Tsutaya Bookstore’s Starbucks. It was 2:00 am. One girl approached me in English and said her friend wanted to speak to me. I don’t remember that girl at all now, but I remember her friend. We kept in touch over the year through social media, and I met that friend-of-a-stranger-in-a-bookstore once again on my trip to Fukuoka. In fact, she’s my friend now. We had an amazing meal at a popular Fukuoka restaurant. The course dishes were from various parts of Kyushu, with the main entry being Fukuoka-style Motsu-nabe, which is a soup of intestines. It was one of the best meals of my life. And by the way, that friend-of-a-stranger-who-is-now-my-friend also bought along a friend of her own, who is now also my friend. We capped of the night with karaoke in a smoky room in Tenjin. 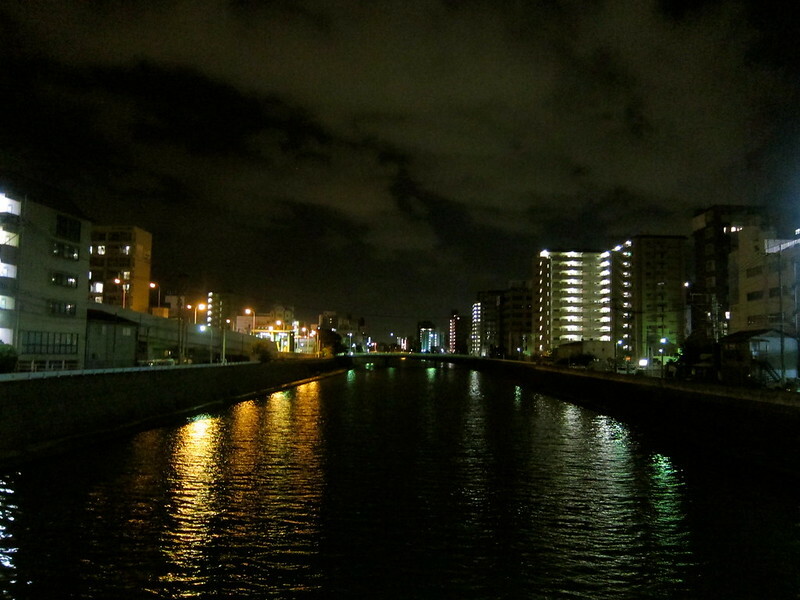 And I walked back to my hostel at Hakata station, but not before stopping to pause at bridge in the middle of the night. The scene demanded more than a passing glance. I stayed there for several minutes, looking out at the cityscape, until I realized that I was drunk, and leaning over a bridge at 2:00 am, and it probably made for a worrisome scene. I decided this year that I love Fukuoka. Because I met my best friend there five years ago. Because I have friends living there now. Because I had an awesome meal of cow intestines. Because of the beautiful scene at the bridge at night.